The city is no stranger to scorching temperatures; there’s the heat wave of 1911, the heat wave of 1899, and the heat wave of 1938, among others. Imagine how oppressive it must have been a century ago, with no AC, no cool drinks from the fridge, and no skimpy summer attire. But New Yorkers found ways to deal. 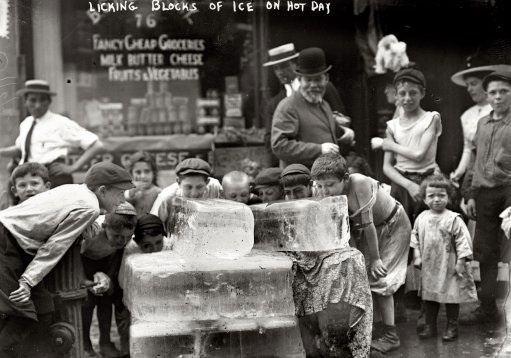 One strategy: licking huge blocks of ice on a street corner with your pals, as these boys are doing in a July 1912 photo from the Bain News Service. You could also find a shady spot in a park and just lie there in your jacket and shirtsleeves. 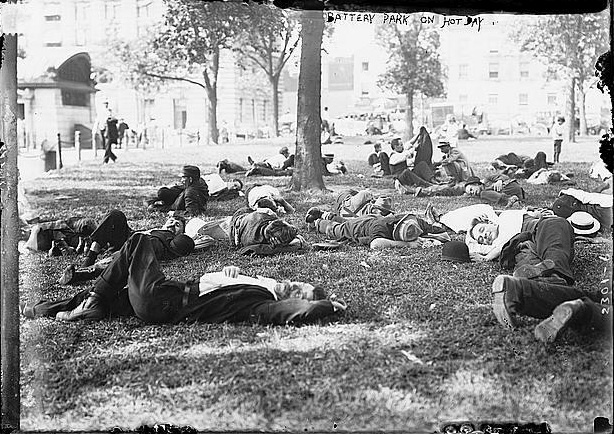 This Bain News Service photo depicts men doing just that in Battery Park (no date). And if you don’t have access to a swimming pool, why not jump in a fountain? 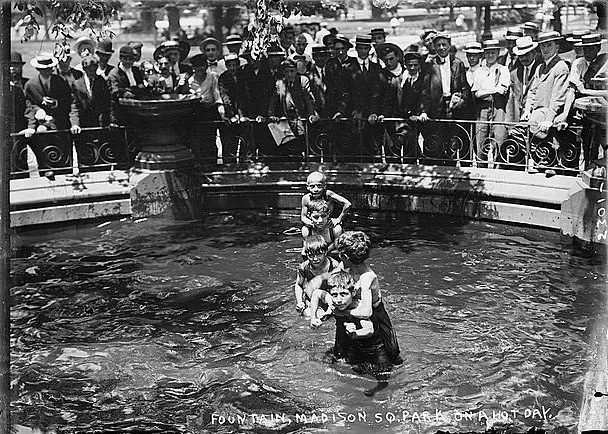 Some boys attracted a crowd in Madison Square Park with that move in another Bain News Service shot (circa 1910-1915).